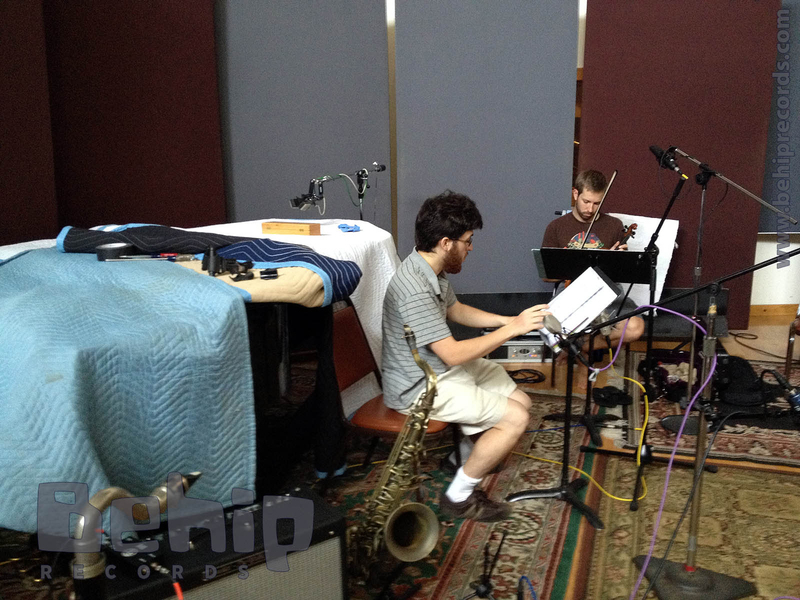 Doesn't every saxophonist dream of playing with a string section? 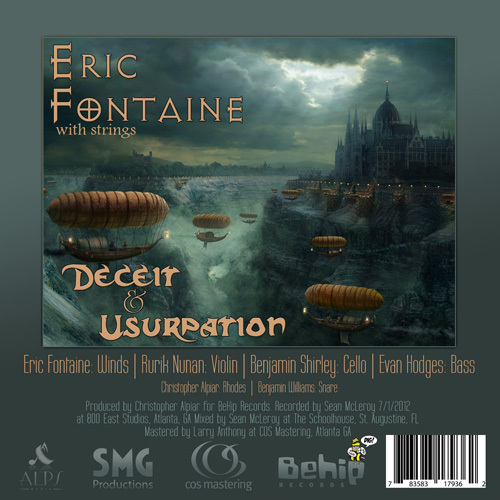 When presented with the opportunity of an available recording day at a hip new label in town that basically offered him carte-blance to record whatever original music he wanted to, provided it was original, live, of acoustic nature, and true to his heart, Atlanta jazz saxophonist Eric Fontaine decided it was time to make his dream come true. He called up the best string players friends he knew in Atlanta, each who come a very different musical background. First call was an extremely versatile and reliable bassist named Evan Hodges whom he had played with on many jazz gigs, but who was also well accustomed to classical string quartets. 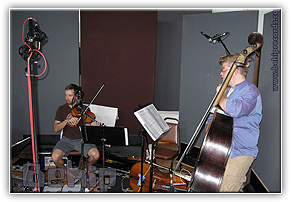 Next call was cellist Benjamin Shirley, a newcomer to the Atlanta scene from Connecticut where he studied with avant-garde pioneer Anthony Braxton. 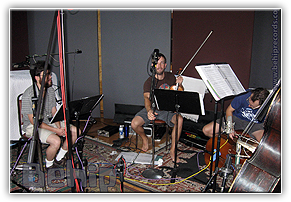 For violin Eric called a good friend he knew in the music scene (even though the two never really played together outside of the Five Spot Jam session) named Rurik Nunan, who does most of his gigs playing "fiddle" with blue-grass and country bands. 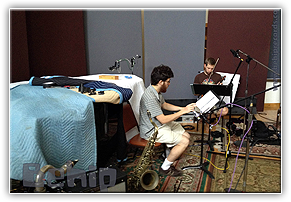 And to round of the album, Ben Williams was called to join the ending hour of the recording session to give the album tension and finality using only his creative interpretive snare drumming. 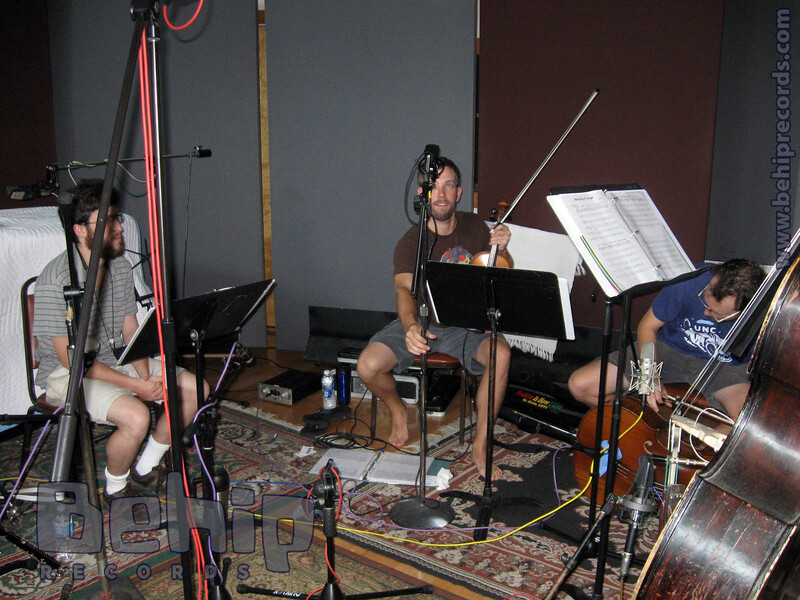 Knowing that he had a good team, Eric then locked himself in his room with a piano for a week and wrote a bunch of dark soundscapes, taking full advantage of the large pitch range from bass to violin, using very simple rhythms while instead focusing on interesting harmonies, which would act as a bed of sound which he could lightly improvise over. Some of the pieces were through composed while some had form. None of the songs had names as they were written in the spirit of absolute music, but the compositions were reminiscent of something that would come from a fantasy movie or an RPG video game. Together they told a story, eventually called "Deceit & Usurpation", which was used as the title for the first album. Eric has since found an excellent viola player to give a full string section and is currently writing more material and is looking for places to play, so call him to book the band. Rurik Nunan plays violin. Although he studied classical violin when he was younger, he currently primarily plays and records more along the lines of bluegrass in bands such as Plecktophilia and The Whiskey Gentry. Benjamin Shirley plays cello and guitar. He has studied with the great living icon of free jazz Anthony Braxton and so is well versed in his compositional style and the avant-guarde in addition to being very knowledgeable with all music from Brazilian pop to drone metal to classical. He currently teaches beginning strings to children at a private academy. 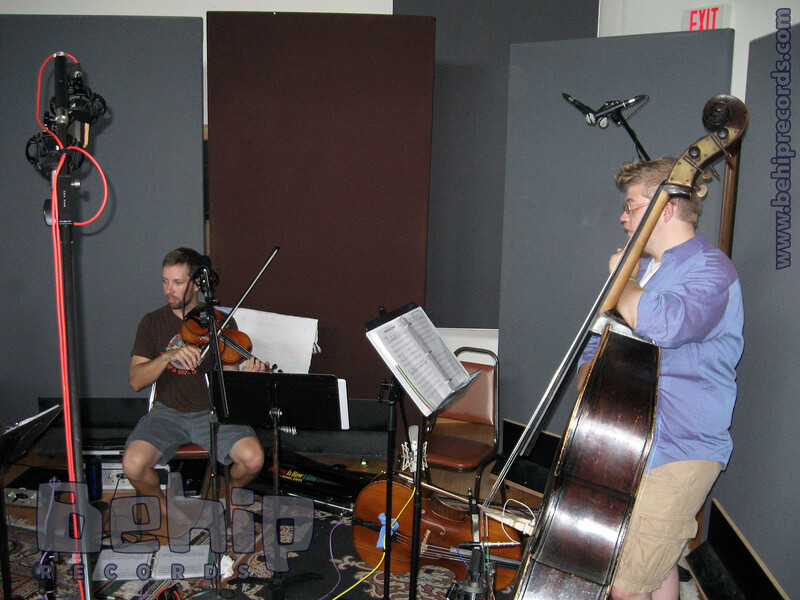 Evan Hodges has been a powerhouse jazz bassist in the scene since coming to Atlanta to study music at Georgia State. He writes many jazz compositions as well as classical string quartets, and is currently pursing the world of film and commercial scoring. Ben Williams is a drummer from Athens currently living in Atlanta. He plays jazz and many genres and is an extremely good snare drummer due to excelling at his drumcorps experience during highschool. He currently tours with Col. Bruce Hampton in addition to giging regularly around Atlanta and Athens.